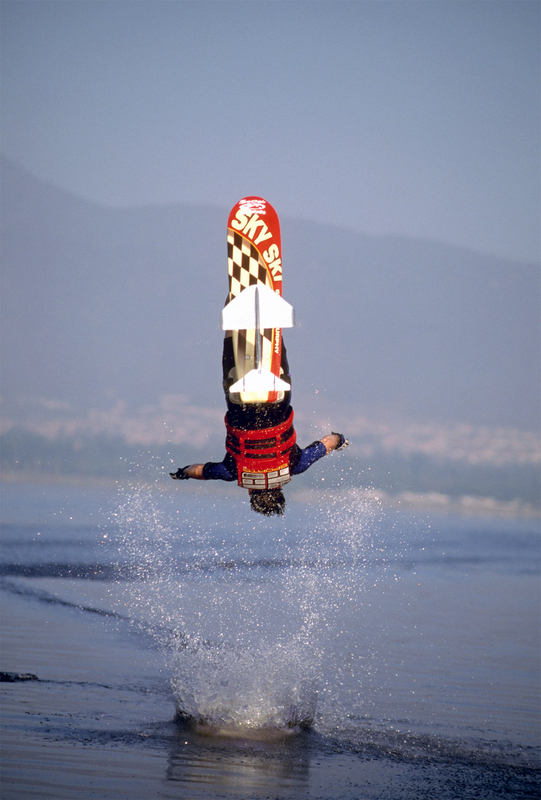 Paul Helbauch performed the first flip ever on a foil in 1989; a gainer dismount without the rope. In 1994 Klarich took the move a step further, performing two consecutive back flips after letting go of the rope. By 1999 Klarich had extended the move to a triple.